Tragically, Henry Green passed away in July 2018. The following article is an attempt to analyze some of the themes, meanings, and cinematic elements of a documentary film made about part of Henry’s life. While a short piece such as the one that follows cannot do justice to the complexity and depth of a person, I hope that it may inspire some good. To help Henry’s family with funeral and medical expenses, please see here. On November 19, 2016 I had the great fortune of being able to view a work-in-progress pre-screening of I Am Shakespeare: The Henry Green Story (2017) directed by Stephen Dest prior to the film’s official completion and release at the Common Ground High School located in New Haven’s West Rock neighborhood. The large auditorium of the recently constructed building for the charter school was a memorable if also somewhat curious location for the screening of this autobiographical documentary film. The Common Ground School, situated along a narrow two lane road flanked by tall dense tree growth in one of the city’s last remaining largely undeveloped areas, was not the alma mater of the film’s namesake and is miles apart – in both distance and topography – from Newhallville, the New Haven neighborhood where the film’s main character spent his formative years. The ‘Ville, as the neighborhood is commonly known, is the primary setting for the story, which is told through an interview conducted by the director with Henry Green inter-cut with scenes from the neighborhood, a local fitness center, and a few other locations that offer short breaks from what is otherwise an extended closeup of Green’s face as he walks the audience through his incredible and, in many ways, still ongoing journey. By the time I arrived to the venue, about 5 minutes before the screening began, the school’s parking lot was filled, and dozens of cars lined the unpaved edge of nearby Wintergreen Avenue. The audience appeared to be a mixture of New Haven philanthropic socialites, curious residents like myself interested in supporting and finding out about a fellow son of this city, and assorted friends and family of those directly involved with the subject matter and making of the film. I’m unsure of how many people in the audience were aware – prior to the screening – of what was about to unfold before our eyes on that auditorium’s projector screen. I know that for me the film’s delivery of its powerful message, through what is a seemingly timeless story, was wholly unexpected and profoundly moving. And this was after I was initially intrigued to see the film having come across it’s revealing trailer a couple weeks before the screening. I am Shakespeare: The Henry Green Story recounts a tumultuous but ultimately redeeming period in the life of Henry Green, a 2009 graduate of Cooperative Arts & Humanities High School and native New Havener. The film, told through Green’s words, describes a childhood often characterized by violence, fear, and an imminent sense of danger in the gang-plagued ‘Ville where every other block in the neighborhood was seemingly controlled by a different group of young men ready to defend their turf with force. Like many public school students in New Haven and in other similar communities, Green assumed multiple identities each geared towards interacting in a different environment from the classroom, to his home, and to the neighborhood corners. Often times for inner city youth, excelling in academics or the arts in school can attract ridicule and even physical violence from one’s peers. Throughout Green’s adolescence, his alternate personality, “Renegade”, conjured up to help deal with conflicts in his neighborhood also informed his acclaimed gifts for acting in dramatic roles in plays at his arts high school and as “Tybalt” in the Elm Shakespeare Company’s 2009 production of Romeo and Juliet. Though still struggling to find purpose and meaning in his life after high school, Green did cease his active role in the ‘Ville’s street life. Despite this, however, he would still be confronted by past demons in an event that changed the young man’s life after almost first taking it. On the evening of February 19, 2010, a Friday, Green was shot in the stomach at close range and left for dead on a Shelton Avenue sidewalk near his family’s home during a robbery attempt and gang initiation. In a situation where retaliation is common place and even expected, Green instead looked inward to better understand his assailant and in a truly heroic gesture, forgave the perpetrator. The already long, slow, and unlikely recovery from the devastating gunshot wound, which included several flat-lining scares, was complicated by the severe damage inflicted to his abdomen. Ultimately, it was determined that without an intestinal transplant – a very rare and difficult surgical procedure – Green wouldn’t have long to live and even with the transplant would be looking at a substantially shortened life span and debilitating physical limitations. Through a combination of luck, family support, medical expertise, perseverance, and a gracious gift from a motor vehicle crash victim, Green’s body accepted the intestinal transplant. Beyond the expectations of medical opinion though still struggling with ongoing health concerns, Green has also managed to take what had been a weakened body and psyche and build it up, through shear will and determination, into a physically and symbolically powerful tool of the enduring human spirit. Aside from Henry Green, the only other character present in the film also serves as one of the story’s primary settings. The Newhallville neighborhood acts at times as a protagonist of sorts, dragging Green down into the depths of despair, while in other capacities it serves as a source of inspiration for unlocking the performance of Shakespeare’s Tybalt. Like it’s role in the film and in Green’s life, the real neighborhood itself is complex, complicated, and varied. Newhallville owes its name and much of its built legacy to industrial plants and smaller manufactories, in particular George Newhall’s Carriage Factory, strategically locating along the Northampton Railroad beginning in the mid-19th century. Existing today as the Farmington Canal Trail, the former railroad corridor traversing the neighborhood was – through the early part of the 20th century – a draw for various industrial facilities particularly for firearms manufacturing and their related auxiliary businesses. The area north of Division Street was gradually populated with a relatively dense grid of streets lined primarily by residential building lots, but with a scattering of parcels used for industrial, commercial, institutional, and public uses, which was essentially fully built out between the 1870s and 1920s. During the World Wars, industrial production and hiring at the expansive Winchester Repeating Arms factory complex peaked in order to meet the demands of the war efforts. Tenements, apartment flats, and rooming houses in the adjacent Newhallville neighborhood swelled with laborers and their families during the war years – supplying civic and religious institutions with members, local small businesses and shops with steady foot traffic, and the streetcar lines along Shelton, Dixwell, and Winchester Avenues with reliable ridership. In the post-World War Two era, however, production, total wage flow, and hiring went into steep decline. In the late 1970s, few active industrial plants remained in the area, and by the new millennium fewer than a couple hundred jobs were at Winchester Repeating Arms – down from 20,000 during the wartime peak – and those only lasted until 2006 when operations at the New Haven facility were permanently closed. In the post-War years, many neighborhoods in the city, including Newhallville, saw middle income homeowners move en masse to nearby suburban towns only to be replaced by a smaller number of lower-income earners with less access to decent paying industrial jobs than previous generations and more likely to rent apartments from out-of-town landlords. By the late-1980s, the dire economic fortunes of Newhallville fueled the growth of the illicit drug market in the neighborhood – giving rise to small bands of loosely-affiliated gangs competing over territory to sell narcotics to a regional customer base. As turf wars, drug debts, robberies, thefts, and personal feuds became increasingly violent and frequent, crime became a major factor in the neighborhood – often negatively impacting law-abiding working class families, which make up the overwhelming majority of the ‘Ville’s population. Over the last 40 years, attempts have been made to rejuvenate the neighborhood. Reactive, para-militarist policing strategies in the 1980s saturated Newhallville with law enforcement officers tasked with making arrests and responding to emergency calls. Beginning in the 1990s, and continuing today, policing efforts have shifted towards proactive, community engagement-based policies to prevent crime and empower neighborhood groups. The early 1980s saw an attempt by Science Park, a joint public-private commercial venture between developers, Yale University, City of New Haven, and the State of Connecticut, to revitalize the Winchester Repeating Arms Complex with new technology- and research-based industries and businesses. 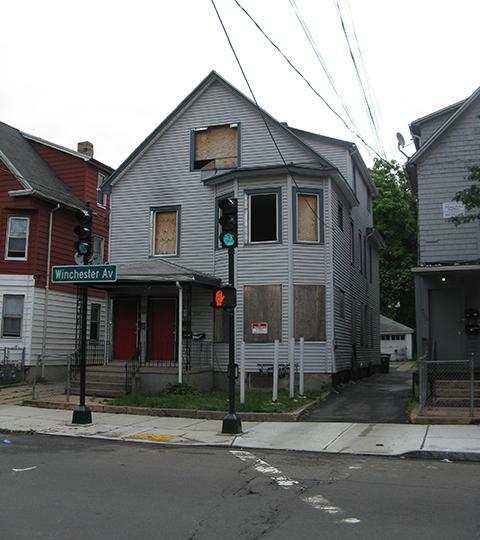 New Haven’s Livable City Initiative, established under Mayor John Destefano and tasked with enforcing building code violations, embarked on a condemnation and demolition spree throughout the city’s working class areas in the mid-1990’s to remove hundreds of blighted, abandoned, and vacant buildings from neighborhoods like Newhallville. Since 1979 a non-profit affordable housing developer, Neighborhood Housing Services, has rehabilitated hundreds of home-ownership and rental units throughout the city’s most distressed neighborhoods with its most recent efforts concentrated in Newhallville. Countless other initiatives by various organizations, like the Community Management Teams, Parent-Teacher Association, block watches, block parties, among many others, have worked to create everything from community gardens to new businesses and social networks in the neighborhood. 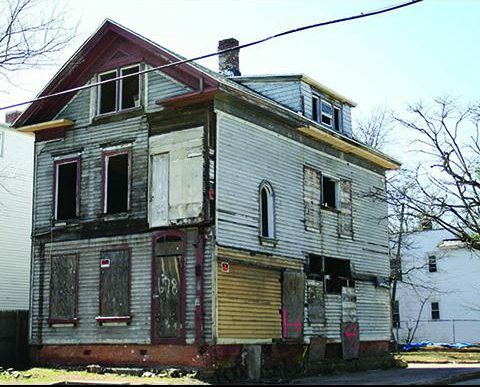 Often times, however, revitalization efforts originate from outside the neighborhood and are implemented from a top down approach. Developers, non-governmental organizations, private institutions, and the municipal government initiate projects led by people neither from the neighborhood nor intimately familiar with it who attempt to change the demographic makeup of the area by attracting new investors and residents. 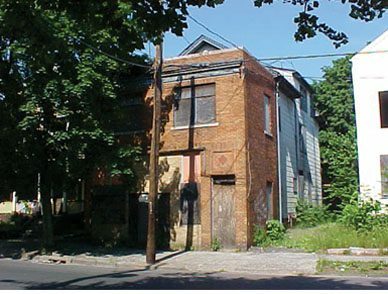 While crime rates have ebbed and flowed and inspiring rejuvenation efforts have taken place in the neighborhood throughout the proceeding decades, Newhallville continues to struggle, like many de-industrial working class areas, with becoming an economically and socially viable neighborhood from within. This backdrop, along with a late-2000’s spike in gang activity and violent crime in Newhallville, provided the setting for Henry Green’s story and it continues to shape the lives of children in neighborhoods like the ‘Ville and throughout the rest of the country. I believe that Stephen Dest’s film offers a potentially effective tool, if properly used, for combating the endemic sense of hopelessness present in communities throughout New Haven and beyond. With Green at the forefront, building on the outreach efforts of which he has already been a part, a sense of drive towards good and purpose may yet be achievable in society’s hardest to reach young people. This belief is informed not only by the impressive engagement thus far accomplished by Green and Dest with these at-risk groups through talking about events depicted in the film, but also, and much more importantly, by the profound messages of the specific story told in I Am Shakespeare. I see two fundamental messages presented in the film. One, as highlighted in the movie trailer, is a call for everyone to seek within others what you hope they will search for and find within you. The other message encourages us to identify an area of ourselves that is weak and build it up. These may seem like simple, cliche, and obvious lessons, but given the state of our current political discourse (or lack thereof) and the level of social degradation found within the city’s population of disaffected youth, having an accessible story like Henry Green’s locally available is powerful indeed. ” There is no black or white person[.] You cannot label people – we’re too complex. My shooter is too complex for me to just label him ‘shooter’. Tell me you’d still be as interested in me if you only knew my Renegade. It’d be easy to call me a monster. Understanding people is not about it being easy. It’s not easy to do that. The film, presented through Henry Green’s own words, provides a timely message for our current national political discourse. Namely, in Henry’s call to see “Shakespeare” in everyone. Each one of us, regardless of background, is complicated, conflicted, and equally worthy of being heard and understood. It’s easy to impose our own limited understanding and biases informed by hearsay, partial-truths, assumptions, and misconceptions onto others without attempting to fully understand their perspective, consider their influences, and reflect on our own blind-spots. If we intend others to see our own complexity, we should extend that courtesy to them as well, especially when that person has a different perspective than your own but is willing and able to enter into an open and honest dialogue for the betterment of both. The film’s other message and its essential story is, in many ways, a retelling of one of mankind’s most ancient stories, the Creation Myth. Passed down from generation to generation by spoken word for millennia, then etched into stone tablets, and finally retold, written, and compiled into the religious texts and epic poems of various cultures across the globe, nearly all the stories of creation – regardless of the time and place of their telling – share the same essential elements, including structure, psychology, and meaning. For this reason, nearly any of the various creation myths from human cultures can be used to explore Henry Green’s story, including the stories of Genesis, Prometheus in the Titanomachy, the Heliopolitan ancient Egyptian creation myth, and many others. However, for reasons of brevity and being widely considered the magnum opus of the preeminent English-language poet, I will use John Milton’s Paradise Lost (1667) to delve deeper into the second message contained within I Am Shakespeare. Part of the brilliance of Paradise Lost is that on the surface it presents Satan’s rebellion against God as a heroic and just act against tyranny, but a deeper reading reveals that initial interpretation to be an example of just how susceptible the reader – and mankind at large – is to corruption through persuasive language. Interestingly, Satan’s rallying cries that appeal to his fellow oppressed and downtrodden fallen angels and Christ’s assurance that the meek will inherit the Earth are not such different calls. Where they diverge, however, is in Satan’s denial of God’s authority by proclaiming that he and his followers are “self-begot, self-raised”, whereas Christ teaches enlightenment through humility and the pursuit of virtue. Satan’s rejection of his origins, like a rejection of life on Earth’s deep evolutionary influences and shared heritage, exposes the rebellion as nothing more than a selfish and arrogant power grab (refer to the Hunger Games series for a more recent version of that story). In I Am Shakespeare, Henry Green is challenged physically and emotionally – forced to face his destructive past then sentenced to a shortened life of restricted physical ability. Rather than allow that confrontation with his shadow on a Shelton Avenue sidewalk to consume him, Green turns the moment into an opportunity and instead valiantly holds a mirror up to himself. Through immense courage, dedication, and self-awareness, Green confronts his weaknesses, both psychological and physiological, and begins a process of building himself up anew so that he may face his own guilt for having been given a second chance at life as a result of someone losing their own in a car crash. As inspiring and moving as I find the story and messages of Paradise Lost, however, Henry Green’s and Stephen Dest’s contemporary retelling of the creation myth and its lessons in I Am Shakespeare is potentially much more relevant for youth in New Haven than a 17th century poem. For that reason, I believe it may provide an important tool for penetrating through the barriers surrounding New Haven’s most troubled youth. I Am Shakespreare is a powerful and compelling tale of redemption, one with an enthralling character arc aided by the story’s authenticity and satisfactory resolution. The viewer is presented with a main character, Henry Green, who was at one time engaged in self- and socially-destructive behavior but, as indicated by his acting gifts, had the potential of becoming something greater. At times, it is difficult to identify and sympathize with Green when describing his “Renegade”, especially if you’ve been on the receiving end of a mugging or random beating. Green’s Fall, however, enables viewers to identify with him and see ourselves in him, just as he does with his “shooter”. Moreover, the inspiring process undertaken to redeem himself can’t elicit anything other than encouragement and cheers, as the audience at the film’s work-in-progress screening proved. In many ways, Green seems to embody what all good parents must hope for their children to achieve – namely to become a self-determined adult free from ideological possession wherein one’s ideas and actions are not blindly driven by disingenuous, destructive, biased, and uncritical influences from their immediate environment like a neighborhood or from society at large. For this reason, Green may be a guide worthy for presenting “the wayes of God to men” as Milton put it. Moreover, the film may offer an incredible vehicle by which to deliver the message to the most dispossessed and disenfranchised – those who are typically turned off by traditional community programs, interventions, and school curricula. Perhaps a sense of meaning and purpose is needed amid national suicide, opioid, and mental health epidemics accompanied by mass shootings, overdoses, “suicide” by cop, and the type of “suicide” by peers and self-destructive behavior that has produced high rates of gun violence in some inner city black communities for multiple generations. Specifically, the Escuela Nueva approach to creating a curriculum for a school system may offer a way to integrate I Am Shakespeare and other initiatives into New Haven Public School classrooms. At its core, the Escuela Nueva approach aims to incorporate aspects of students’ daily lives like their local culture, geography, and environment into classroom exercises, courses, and homework. I imagine the film being used to help teach Shakespeare, Greek mythology, and many other standard high school English class topics. Often times those subjects seem so distance and irrelevant to students – I know that was the case for me in freshman year English class at Wilbur Cross High School in 2004. Organizing a classroom activity around questions like “Why might the experiences of a teen from the ‘Ville be able to inform playing the character of Tybalt in Romeo and Juliet?”, “How does the story told in I Am Shakespeare relate to Prometheus in the ancient Greek Titanomachy myth?”, and “Are the messages in the film similar to those found in ancient creation myths and their modern retellings like Paradise Lost?” might encourage student participation and interest. Had this film been around and used in this way when I was a middle and high school student in NHPS, it may have helped me and certain of my peers to be more invested in the coursework and perhaps I, like a lot of kids, wouldn’t have fallen behind academically. Although I was fortunate enough to have been provided with the opportunity to overcome my own reading comprehension issues – resulting from years of regrettable habits – by spending most of my college experience in the library reading as much as possible, many kids were not so lucky. I suspect this incredible film, if used properly, has the potential to inspire those hardest, but most necessary, to reach students and adolescents in our communities that would otherwise fall behind under conventional school curricula and teaching methods. More important than making English class more interesting, Stephen Dest’s film and Henry Green are most intriguing for their potential to instill valuable lessons about empathy, inner truth, and redemption in society’s toughest to reach young people. I believe the film’s story, like the ancient creation myth, teaches that we all must constantly destroy the parts of ourselves that become corrupt and outdated so that we may be informed by new information and can thereby adapt to change. This is a process that is necessarily put into motion by a “Fall”, or moment of weakness, that presents one with the option to descend further into chaos or rise from the ashes of one’s previous state. Essentially, it’s a lesson about identifying where you are lacking and focusing on building that part of yourself up. If, for example, your reading comprehension is low then dedicate time and effort to improving it. For Green, his body and, as a result, his mind were physically weakened, but through dedication was able to strengthen it with weight training, self-reflection, and forgiveness. Green, through his unwavering honesty, is also able to promote the importance, especially for men, of verbalizing mental health concerns and seeking help in dealing with depression and anxiety (see the film Moonlight (2016) for a superb elaboration on this theme). This simple film consists of an edited down interview filmed over the course of a few days cut with establishing scenery shots and a minimalist musical score, but the result is a remarkable work of art that localizes powerful, if well-tread, messages through a compelling story, an admirable main character, and effective film-making. To be sure, watching I Am Shakespeare: The Henry Green Story on that November night at Common Ground High School is an experience that few in attendance will forget. For additional information on the release and screening of the film I Am Shakespreare: The Henry Green Story, see here, and for Director Stephen Dest’s other film work, see here. For the “Facilitator’s Guide” accompanying the educational distribution of the film, see here.